The now rapid worldwide adoption of RCS and deployment of marketing campaigns by brands of Rich Communication Services (RCS) heralds the arrival of a new era in messaging. SMS remains the largest messaging platform on earth, with over 4 billion users, and continues to play a vital role in connecting businesses to its customers. RCS Business Messaging however provides enterprise with a means of communicating with consumers in far more engaging and interactive ways – multimedia features appeal to the senses, AI chatbots help to resolve queries, and companies can position their branding in more visually creative ways than is possible with SMS. This global operator upgrade from SMS to RCS presents a win-win, bringing businesses more effective marketing tools than have so far been available, and a more user-friendly experience for consumers. As a result, RCS is projected to add up to 30% to the global growth potential of SMS A2P messaging by 2021, bringing total revenues as high as $90 billion. RCS allows companies to monitor engagement in detail, enabling refinement of campaigns through analytics. Customers can also be assured that messaging is indeed from the brand in question – through the Verified Sender function – further boosting engagement through increased confidence. RCS is also native to handsets, meaning companies need no longer invest time and funds into standalone apps, nor take the risk of those apps failing to take off – they will increasingly be able to reach their customers by RCS as a matter of course. One in five mobile apps are usedonly once in the first six months of ownership – and, when users seek ways of freeing up space on their devices, neglected apps are often the first to go. RCS sidesteps this issue, while also eliminating the friction caused by moving between multiple apps by allowing users to engage with business all in one place. By making B2C messaging more convenient for the user – while providing brands with more secure and memorable ways to engage with their customers – RCS drives higher conversions in a way that can be tracked in detail. There are now 57 live RCS networks, with 170 million monthly active users already, and a further 1.4 billion users in possession of RCS-capable Android devices. The speed with which the ecosystem is adopting RCS is perhaps best illustrated by the breadth of geographical coverage we are seeing in deployment: the GSMA projects 40 new launches by operators in 30 countries over the next year, bringing RCS to five continents. 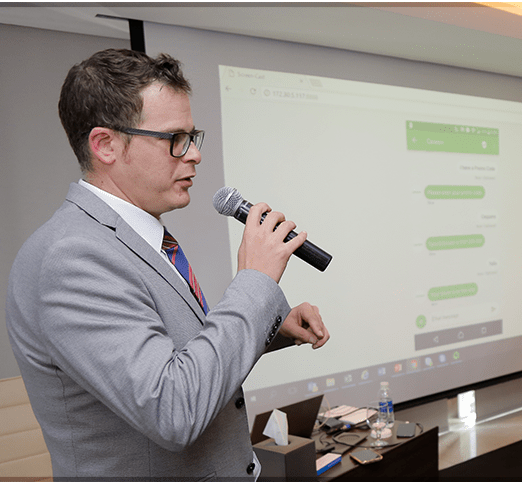 The GSMA convened an RCS Business Messaging Awareness Lab, sponsored by Cequens, in Jordan earlier this year, bringing together messaging industry stakeholders to consider the operational and commercial requirements of ensuring mass adoption of RCS in the MENA region. Momentum behind RCS is building rapidly in MENA: Senior Marketing Leader at Orange Luma Abu Omar announced at the Lab that Orange are launching RCS in Senegal, Guinea Conakry, Guinea-Bissau and the Congo, bringing Orange RCS launches to nine countries so far. The GSMA welcomes this enthusiasm for RCS in the region, and the ongoing work among other operators to bring RCS to their MENA users in the near future. Among the highlights of the session was a demonstration of ongoing work by Cequens, whose highly successful innovations in banking and ride-sharing businesses provided delegates with clear evidence of what can be achieved through RCS’ capabilities. “RCS is already taking the world by storm and, here in the MENA region, we expect it to make a paramount impact on the way businesses communicate with their customers. Most – if not all – of the brands we’ve spoken to have shown interest in RCS Business Messaging and are excitedly waiting for its rollout in the region,” said Karim Zaki, Cequens’ VP for Products. Market and industry research bears this picture out – one recent global survey shows 80% of users are interested in using RCS functionality, seeing it as a natural progression from SMS. 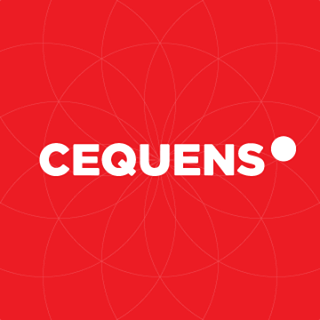 Cequens is a serious player in the B2B messaging space, having already brought more than 1000 clients together with over 6 billion mobile account holders, through their relationships with 700 mobile network operators and global carriers. Their commitment to RCS as the future of B2C messaging in MENA should signal to the wider industry that now is the time for confidence in the region’s potential. As Cequens points out, smartphone penetration in the region is now at 40%, and forecast to leap above 65% by the year 2025 – this is therefore a market offering rapid opportunities for growth to those who make timely investments. By combining RCS’ capabilities with the ubiquity and high response rate of SMS, operators now have a powerful answer to the challenge of OTT business messaging apps. With 74% of consumers reporting they would be more likely to communicate with a brand if it used RCS – and half of all consumers saying they would stop using equivalent apps entirely if the same functionality and more was in one place – operators are well-positioned to transform B2C messaging over the year ahead. Article authored and originally published on GSMA Blog.